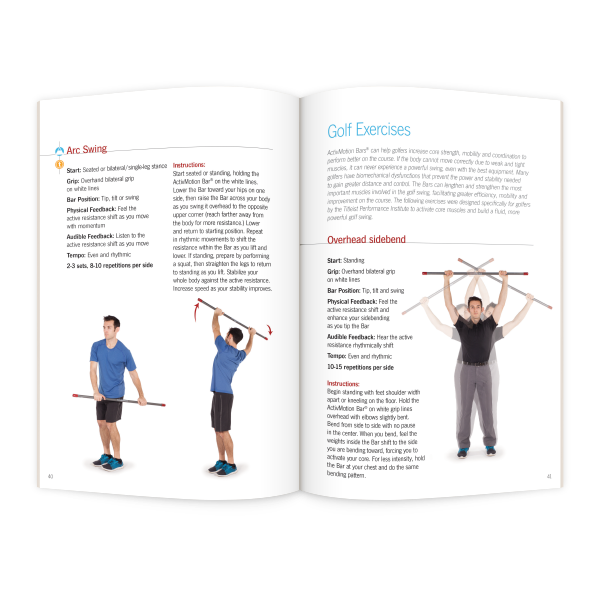 Discover physical therapy, golf and Pilates exercises in this rehabilitation training manual developed specifically for use with the ActivMotion Bar®. 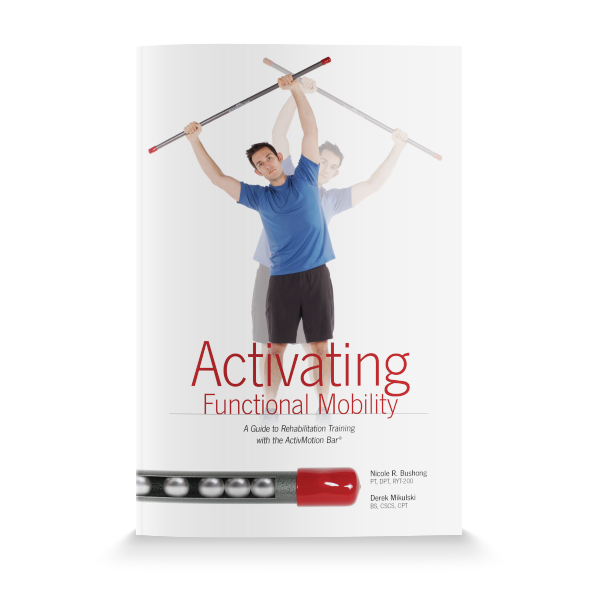 Activating Functional Mobility: A Guide to Rehabilitation Training with the ActivMotion Bar is a professionally written manual designed to help patients develop strength, mobility and balance. All exercises take advantage of the unique “rolling resistance” of the ActivMotion Bar, and are designed to increase core muscle engagement while improving range of motion. Detailed instructions and color photographs demonstrate each movement to ensure proper technique whether training under supervision or at home. 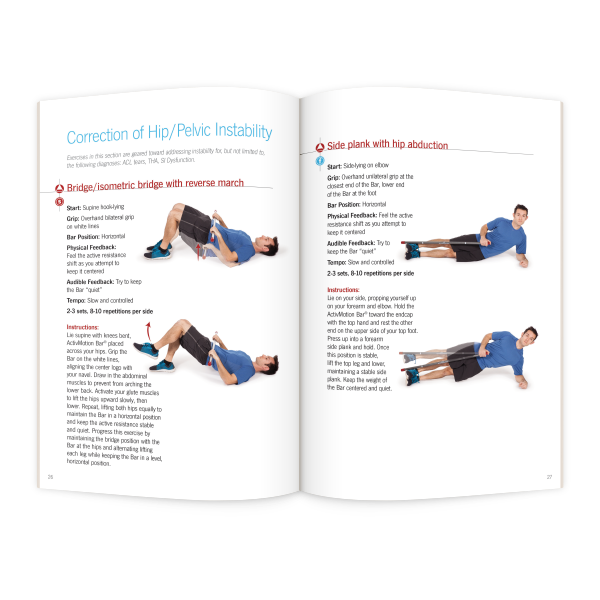 Make therapy training fun and effective with the movements found in Activating Functional Mobility, an exercise guide that helps users of all abilities progress toward pain-free, enjoyable living. Written by ActivMotion Bar inventor Derek Mikulski BS, CSCS, CPT and physical therapist Nicole Bushong PT, DPT, RYT-200. *Recommended for use with the 4.5-pound ActivMotion Bar; sold separately.